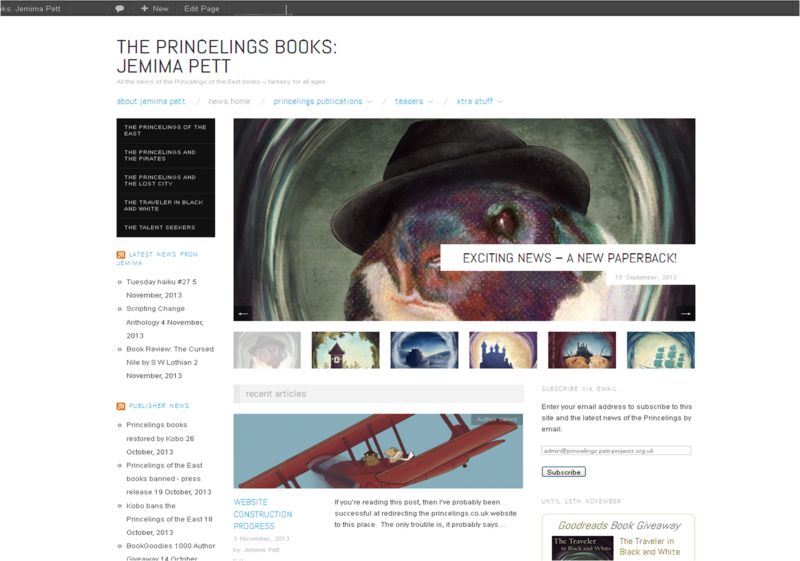 The Princelings Official Website http://princelings.co.uk has been upgraded and relocated. Regular readers are invited to re-enter their details to follow the site by email, or sign up again through the Wordpress Reader. Please note that you should clear your cache or history within your browser to access the new site if you have used princelings.co.uk recently or have marked it as a favourite or similar. The old site will remain for the time being and has a link to the new one in the posts clearly marked as Under Construction. We are planning to carry out a similar migration for Jemima's blog http://jemimapett.com and for the non-fiction site White Water Landings http://geoffreysbox.wordpress.com at the end of December or in early January.